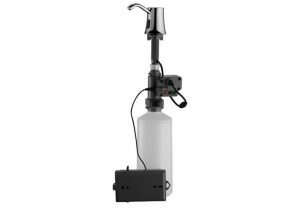 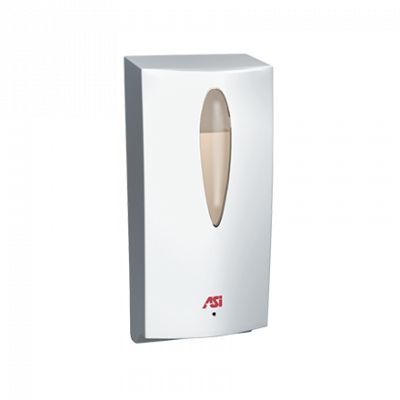 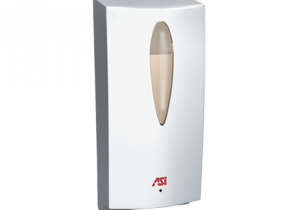 Surface Mounted Automatic Liquid Soap Dispenser shall hold and dispense up to 800 ml (28 oz) of liquid and lotion soaps, synthetic detergents and antibacterial soaps containing PCMX and/or Triclosan with a viscosity range of between 1 and 3500 mPa•s or cP (MilliPascal-sec or Centipoise). 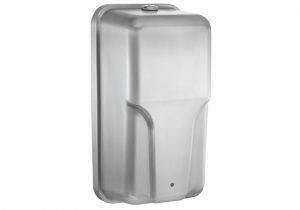 Dispenser body shall be molded of white high impact plastic. 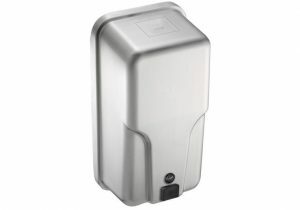 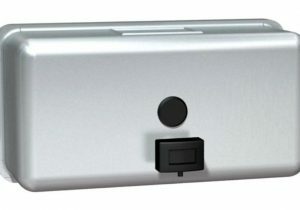 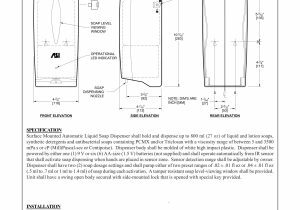 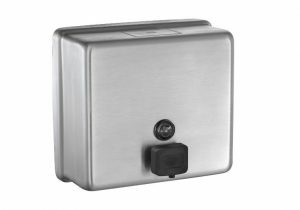 Dispenser shall be powered by either one (1) 9V or six (6) AA-size (1.5V) batteries (not supplied) and shall operate automatically from IR sensor that shall activate soap dispensing when hands are placed in sensor zone. 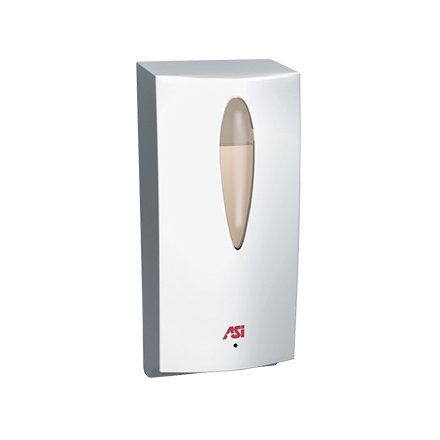 Sensor detection range shall be adjustable by owner. 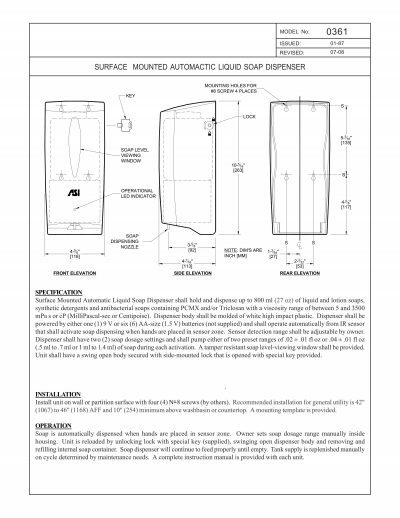 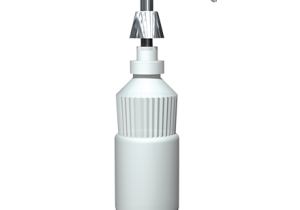 Dispenser shall pump a drop volume of .04 ± .01 fl oz (1.0 ml to 1.5 ml) of soap during each activation. 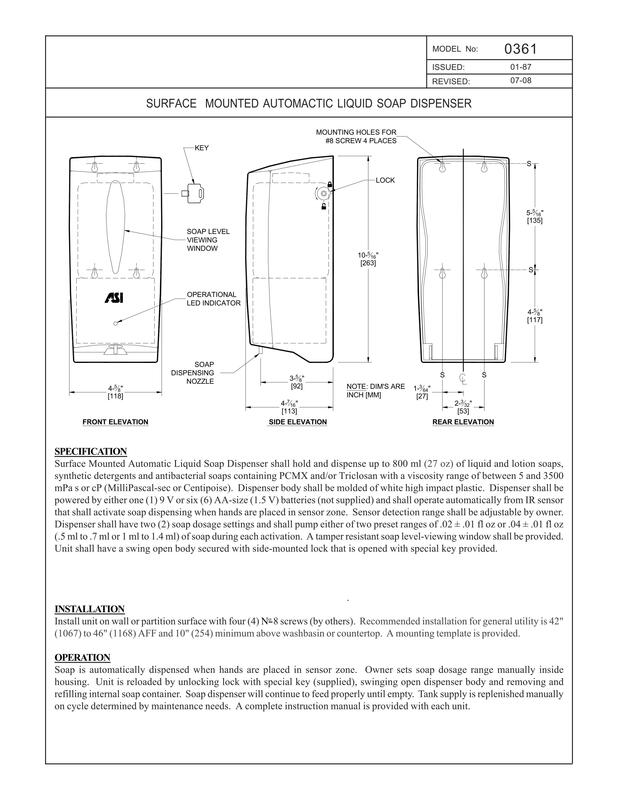 A tamper resistant soap level-viewing window shall be provided. 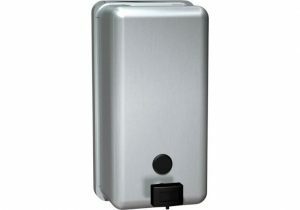 Unit shall have a swing open body secured with side-mounted lock that is opened with special key provided.